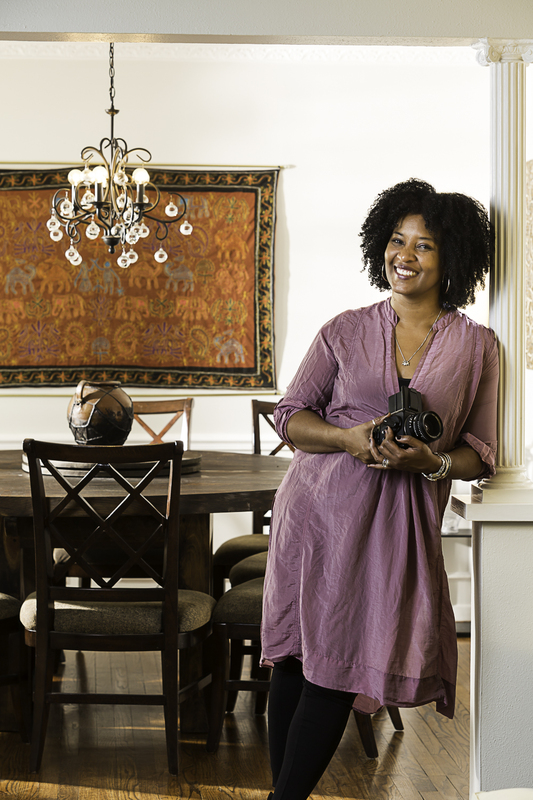 Because she doesn’t fit neatly into one professional category, Karen Walrond ’88 describes herself as someone who “speaks, writes and shoots” for a living. To classify her simply as a motivational speaker or photographer wouldn’t do justice to her multifaceted work. Nor is there a title for someone who devotes herself to shining a light on the qualities that simultaneously differentiate us and bridge us. Walrond didn’t simply fall into this line of work, and her path has been anything but linear. As a child, her father’s job required the family to move back and forth from Houston to their homeland of Trinidad. In her teen years, with her family more permanently settled in Texas, Walrond decided to attend Texas A&M at the urging of a friend. She received a full-ride scholarship and majored in civil engineering. While she stood out in many ways—Trinidadian female engineering students were few and far between—she also worked hard to fit in. She went to football games, sang Handel's Hallelujah chorus with the Century Singers, served as a Fish Camp counselor and helped found T-Camp. In these moments, Walrond received a first glimpse at not only her ability to make these connections with people from all backgrounds, but her desire to find common ground with strangers. 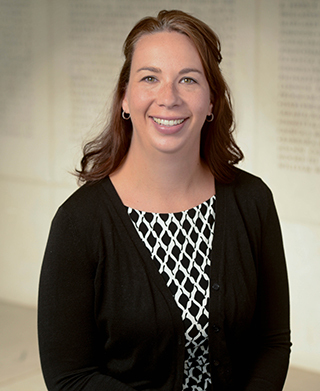 After graduating in 1988, she worked as a structural engineer for a couple of years before attending the University of Houston to earn a law degree and accepting positions at Conoco Phillips and Halliburton. Along the way, her career took her to England, where she met her husband Marcus, and then eventually brought them back to Houston. A year into their marriage, the couple began the adoption process—a decision that would chart a new course for both her personal and professional identities. Chookooloonks.com documented the entire adoption process, and when their daughter Alex arrived, Walrond shared photos of her with loved ones by posting them online. She never intended for total strangers to find her website and become followers of her story. But that’s exactly what happened. “The thing I didn’t realize is that because prospective adoptive parents love to use Google to find information, they’d find me,” she said. As a result, Chookooloonks quickly became more than a pet project—it soon became a nationally-ranked adoption blog. As Alex grew, Chookooloonks did, too. Walrond began to pivot away from her law career to pursue her writing and photography endeavors full-time. Chookooloonks also took on a new identity, with posts that focused less on the nature of being a mother and more on the nature of being human. With her blog’s success, Walrond’s writing took on an amplified form. In 2010, she published her first book, The Beauty of Different: Observations of a Confident Misfit. After years of attempting to in, Walrond has finally learned to embrace the beauty of her own individuality. Her message took off. Walrond began to receive requests to speak at corporations all over the world about building self-esteem and celebrating diversity. In 2012, she went to Ethiopia with a group of writers and the ONE campaign, an organization that does advocacy and outreach to eradicate disease and poverty in Africa. The experience would become the basis of Walrond’s TEDxHouston talk “Resonate” in 2012. Walrond sharing her message of "The Beauty of Different" at Women, Wealth & Wisdom in 2016. 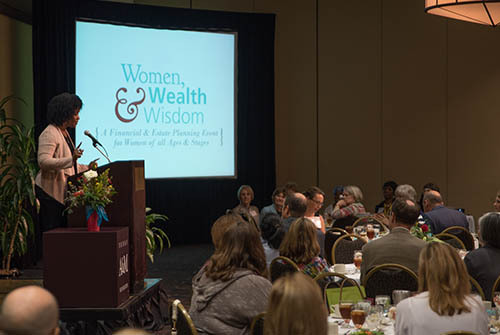 Three years later, Walrond brought her empowering message to campus by speaking at the Texas A&M Foundation’s Women, Wealth & Wisdom event, a free financial planning workshop held each spring. These days, she is working on a second book project and lives in Houston with Marcus, 13-year-old Alex, and their dog, Soca. She has also linked up with renowned speaker and researcher Brené Brown, working on Brown’s mission to make the world a braver place, through online platforms and certification methodologies that teach authenticity, courage, vulnerability and empathy. The 2017 Women, Wealth & Wisdom workshop takes place on May 19 at The Stella Hotel in Bryan, Texas. Because breakfast and lunch will be served, registration is required for this free event. To hear from other speakers like Karen Walrond or to find more information and register, please visit www.txamfoundation.com/www.